One of the central points where I differ from standard accounts of George Hodgson’s life springs from his purchase of two large tracts in what is now Adams County, Pennsylvania, before he and his wife Mary and children relocate more than a decade later to North Carolina. The land transactions would have made the family among the first settlers on what was then the frontier of Pennsylvania. Key to his settling there was Moses Harlan, whom I believe was somehow related to George’s mother. Harlan family genealogies describe a similar log house in Adams County. 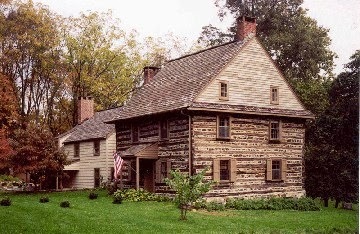 Moses’ parents, George and Elizabeth (Duck) Harlan, built this house in Chester County, Pennsylvania. They were among the founders of Center Friends Meeting in Newark, Delaware. 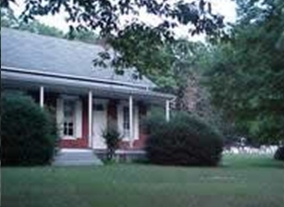 Was it a coincidence that the new Center Friends Meeting in North Carolina was adjacent to George Hodgson’s home? 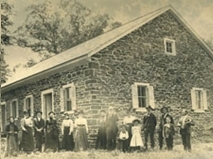 When the Hodgson family resided in Adams County, meeting for worship was conducted in homes and possibly barns or outdoors. 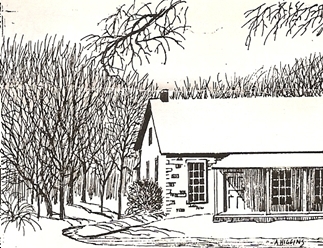 About the time they moved away, there were enough Friends in the neighborhood to require meetinghouses. The Harlans, Quakers who pioneered settlement and helped establish Menallen Meeting, were from Ireland. 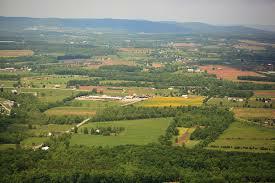 Menallen Township is named after an older variant spelling of Moyallen, County Down, Ireland. Huntington Friends after worship in 1890. 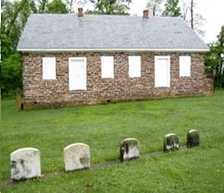 Huntinton meetinghouse is one of three under the care of Menallen Friends. I have fond memories of Quarterly Meeting sessions held in the Menallen meetinghouse. Posted in My ancestry.Tagged Americana, Genealogy, History, Photos, Quaker.